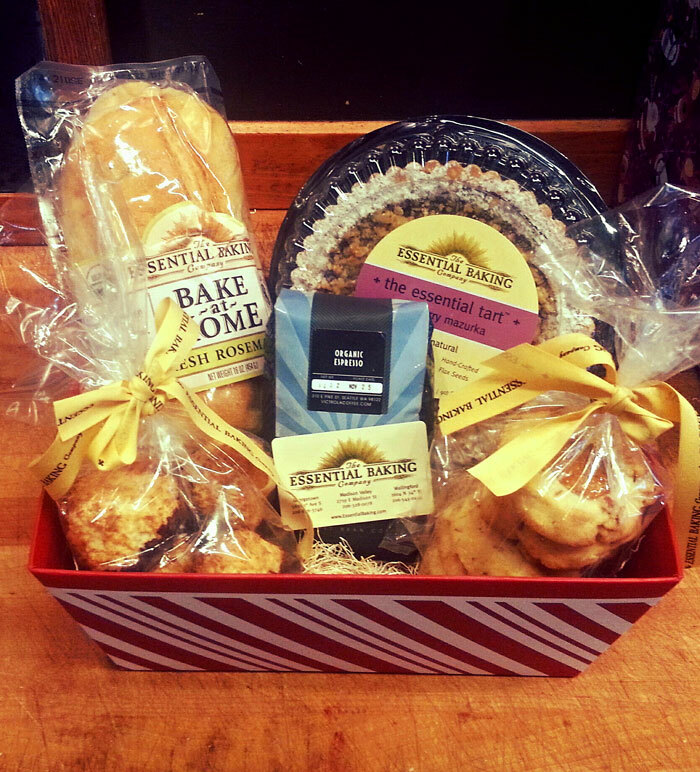 Let us create gift baskets for you this Holiday Season. We offer two “made to order” options. Call our Madison Park Café at (206) 328-0078 or Wallingford Café at (206) 545-0444 to place your order today! 1 7 inch tart: Flourless chocolate, zesty lemon or raspberry mazurka. Please allow 3 days notice to allow us to have enough product on hand as our gift baskets are made to order.